PHOENIX (AP) — U.S. Senate candidate Joe Arpaio argued the benefits of gun ownership to a tiny toy doughnut in the latest episode of comedian Sacha Baron Cohen’s new prank show. “D’Lish Donut, you have to understand that you have to follow the Constitution and the law and allow people to have guns,” Arpaio said. At one point, Arpaio looked downward at the toy and pointed his finger for emphasis as he argued that guns were an effective means of defense. 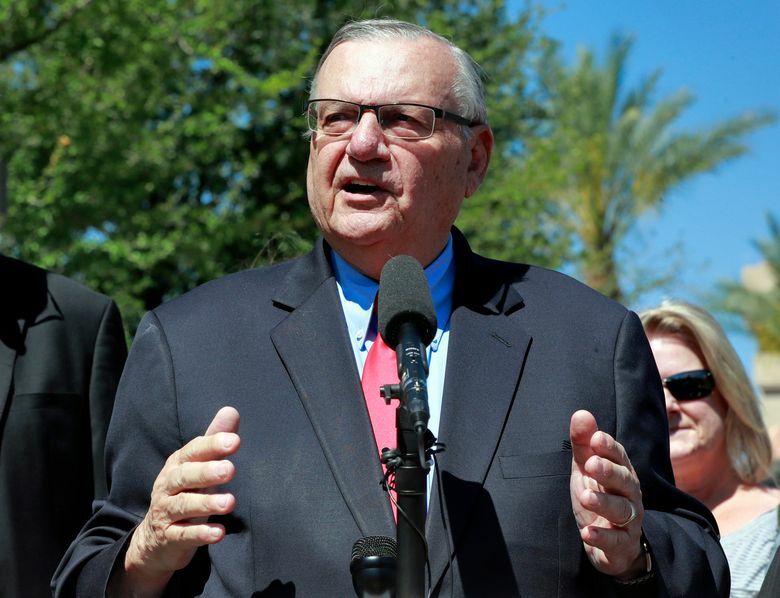 The Republican served as metro Phoenix’s sheriff for 24 years until his defeat in 2016 as he faced a criminal contempt of court charge for disobeying a judge’s orders in an immigration case. He was later convicted of the misdemeanor, but was spared a possible jail sentence when he was pardoned by President Donald Trump. His campaign issued a statement saying Arpaio couldn’t fully understand what Baron Cohen was saying during the interview. “We’re not mad about it, it’s comedy,” Arpaio spokeswoman Jennifer Lawrence said in the statement. Arpaio said the producers told him the show was focusing on the most famous people in the United States. He also had said he didn’t know who Baron Cohen was until he recently saw news coverage about the comedian pulling a similar prank on former Alaska Gov. Sarah Palin. The campaign of former state Sen. Kelli Ward, one of Arpaio’s two GOP opponents, declined to comment on Arpaio’s appearance on the show. A spokeswoman for his other opponent, Rep. Martha McSally, didn’t return a phone call and email seeking comment. “You have 43 guns?” Arpaio asked. “Yes, I have been collecting them for the upcoming race war,” Baron Cohen said.